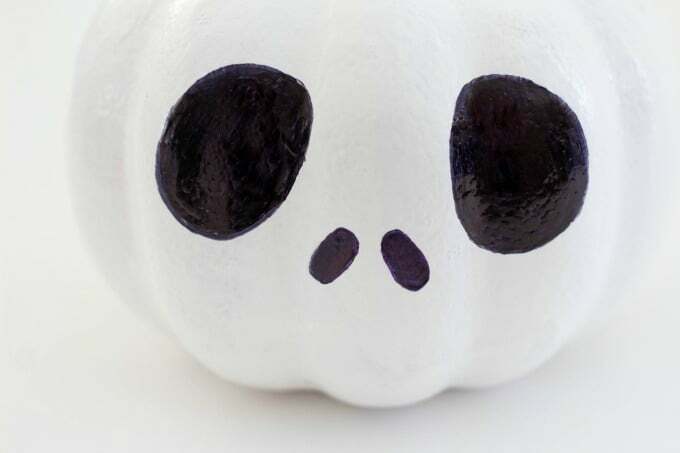 Love The Nightmare Before Christmas? 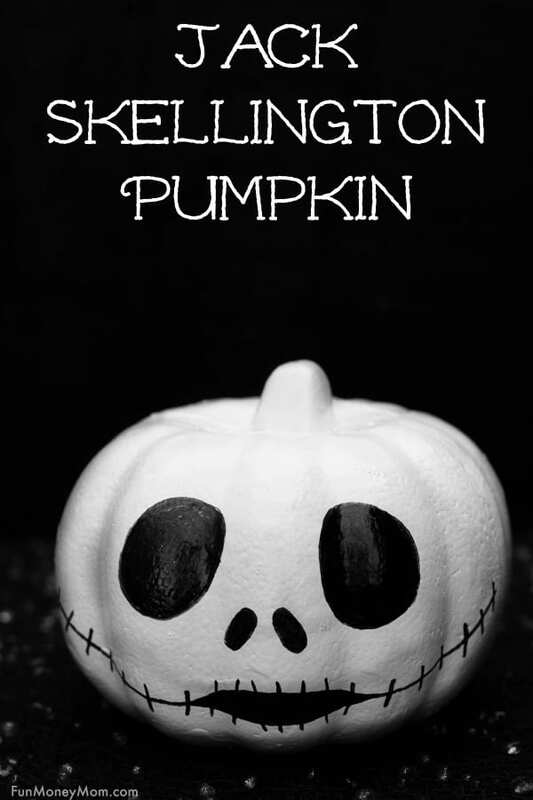 If so, you’ve got to make this awesome Jack Skellington pumpkin for Halloween! It’s fun, costs next to nothing and is so easy that even the kids can do it! Happy Halloween! Okay, it’s not quite Halloween yet but I’m already getting ready for it. 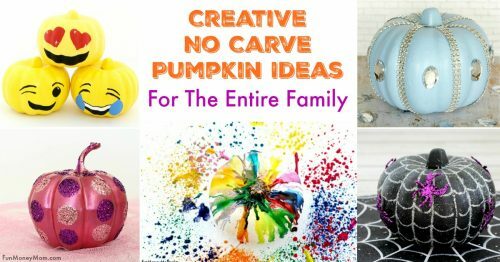 We’re planning Halloween costumes, making candy corn inspired food and best of all, making lots and lots of Halloween pumpkins! 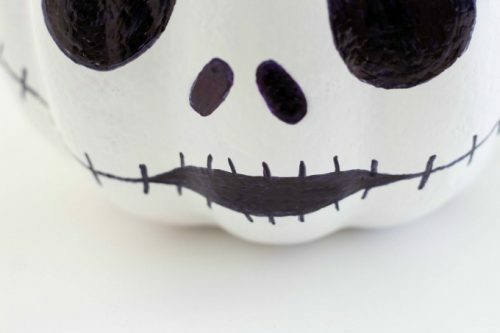 I’m always looking for new pumpkin decorating ideas and when I saw a clip from The Nightmare Before Christmas, a Jack Skellington pumpkin seemed such an obvious choice. 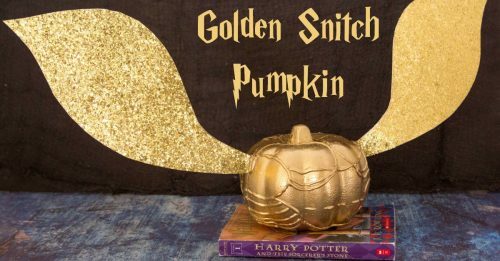 After all, his head IS a pumpkin…how easy is that! If you’re a fan of the movie, you’ve got to make this. 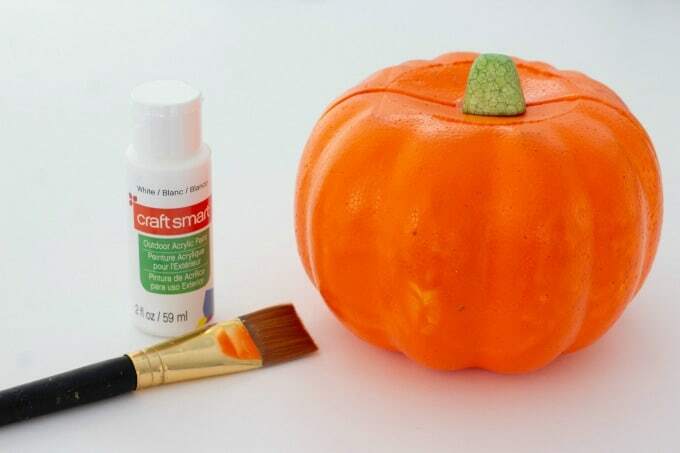 It’s so simple and since all you need is a $1 pumpkin, white paint and a marker, it’s super cheap too. 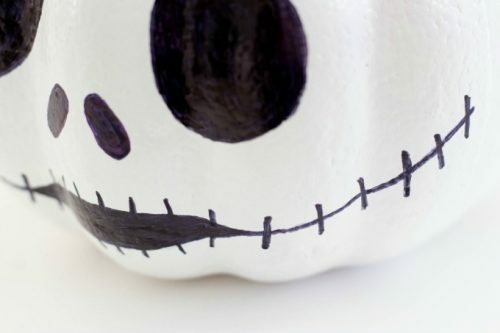 When you’re finished with Jack, you can make a Sally Skellington pumpkin too! 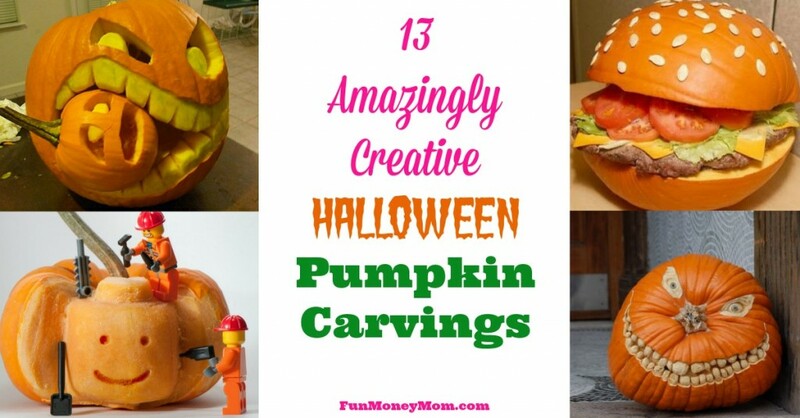 I LOVE these foam pumpkins and have used them for a ton of pumpkin projects. They’re only $1 and you can do so many things with them! 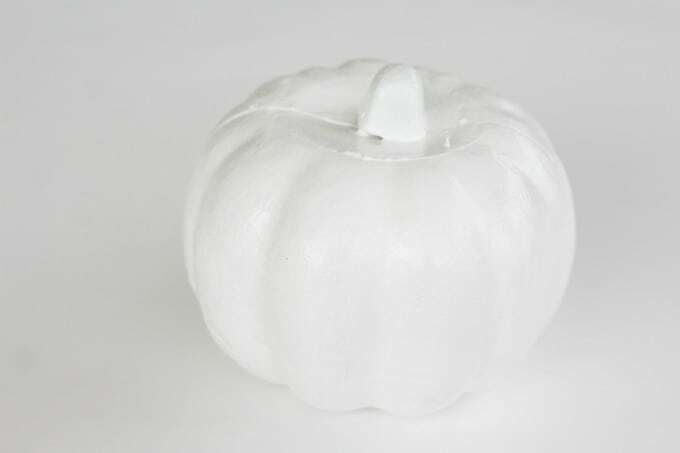 Start by painting the pumpkin white. Let the first coat dry, then paint another one over it. 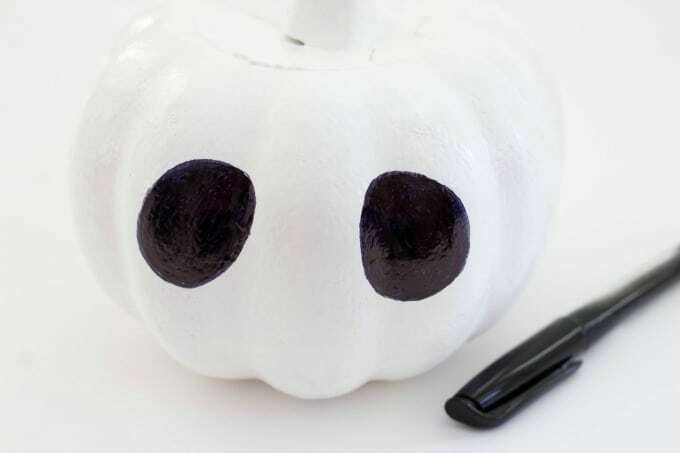 Take a black marker and draw Jack Skellington eyes on the pumpkin. They should be oval and slightly slanted. Next, draw the nostrils. They’re also oval but a little more slanted and much smaller. Finally, draw the mouth. You can make it a line that goes from side to side and curves up at each end. Then add a little more black in the middle to give the mouth definition. I made the mouth go about halfway to the back of the pumpkin. After making the line across, I drew the “stitches”. 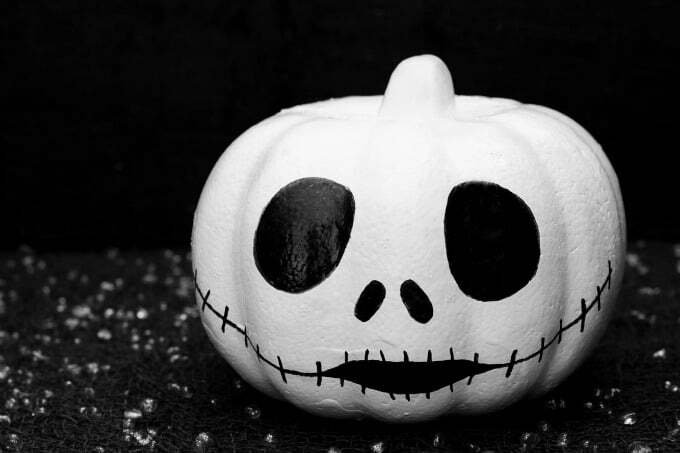 Now you have an awesome Jack Skellington pumpkin for Halloween. How fun is this?! Hmm…now I’m thinking that I need to make Sally so he’s not lonely! What do you think? What other no carve pumpkins can I make?